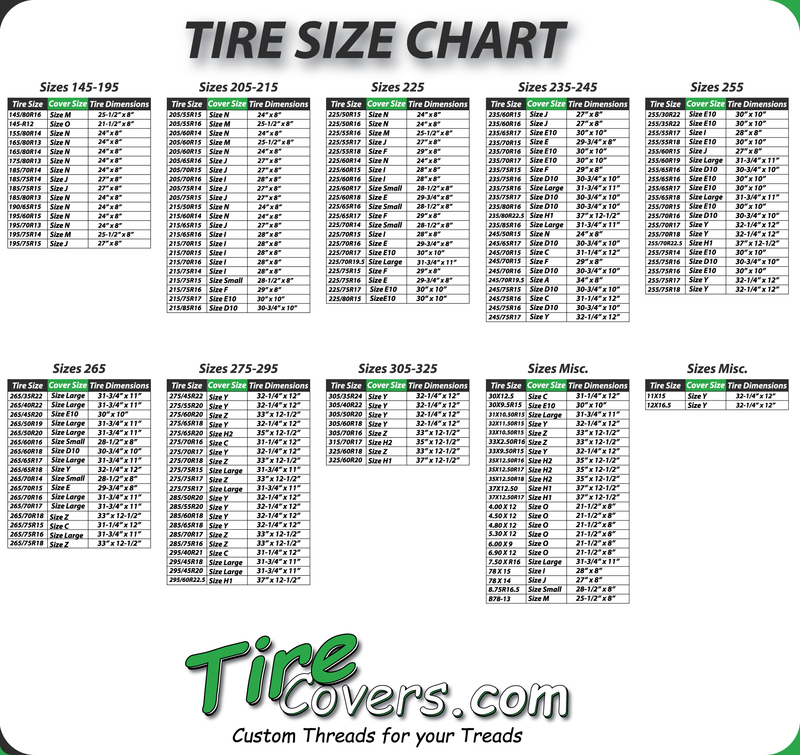 Tire Covers for your Jeep, SUV, Van, Trailer or RV. Protect your spare tire from the elements so that when you need it in an emergency it's ready to roll. Here at Tire Covers we take pride in our products to ensure that each and every one of our customers is completely happy with their purchase. We offer the lowest possible prices while still utilizing quality materials and expert craftsmanship while making the product here in the U.S.A.. You'll find that we offer a wide array of officially licensed logo covers that are in compliance with the NCAA, NHL, General Motors, U.S. Military and Indian Motorcycle. You can always be rest assured that we use the latest logo designs that are approved by each entity that we purchase our licensing through. The images used are proprietary and are only available at this website.